Every distance coach is working hard to get his/her runners as fit as possible and be in position to run their best in the biggest meet of the season. This is no easy task as every runner comes to the season with a completely different level of fitness and natural ability. They each respond to training differently and the ability to recover can vary also. 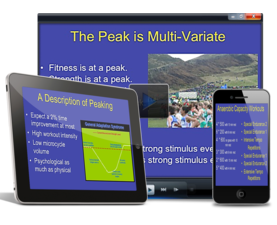 Even so we do our best to train each athlete to reach his or her Peak ability to perform at the most important times. 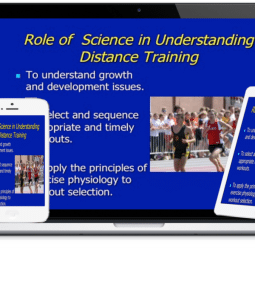 In the clip below , courtesy of Complete Track and Field , highly regarded distance coach Scott Christensen talks about Peaking for cross country runners and shares a few thoughts on the topic. Coach Christensen is an acclaimed distance coach. His high school teams have been ranked in the national top 10 eight times. He has coached 13 Minnesota State Championship-winning teams and 27 individual Minnesota State Champions. Coach Christensen has also spent 14-years as a USATF Level II endurance lead instructor and currently serves as lead endurance instructor for the USTFCCCA Coaching Academy. Coach Christensen begins by pointing out that many coaches think their runners are peaking when the see drops in the times, when in reality it may simply mean they are just now getting in shape after a poor summer of training. These athletes may be cutting time, but are no where near at peak fitness. He also states that peaking is really a summation of many factors including: strength, fitness, stamina, hormones, enzymes, rest. He reminds us that the aerobic system needs strong stimulus every 4 days and the the anaerobic stimulus needs strong stimulus every 3 days. Other key points include the fact that physiological effects can be seen in as little as 24 hours after training: however, the full physiological effects of a training session will not be felt for up to 18-20 days after the workout. The YouTube video below has sound, so please make sure that your sound is turned on and that you have access to the site. Please note that some schools block access to YouTube.